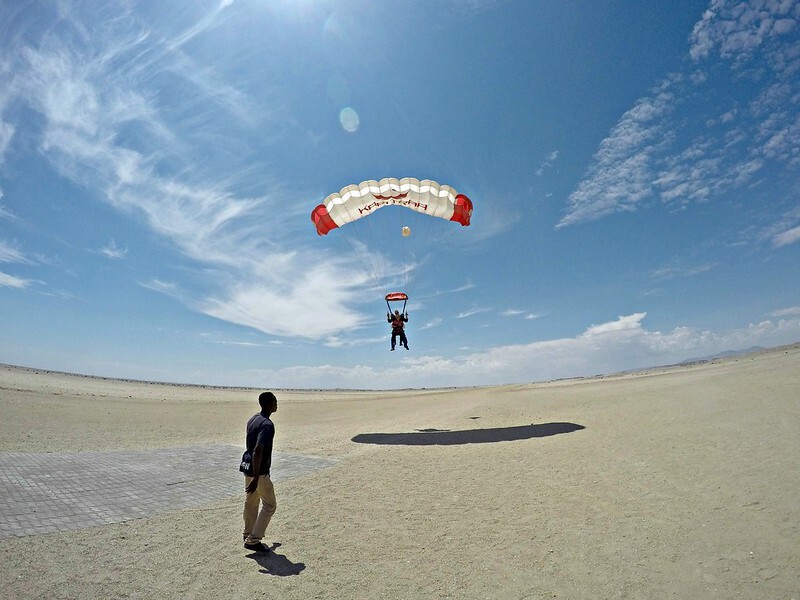 Swakopmund, Namibia is one of the top places in the world to go skydiving. 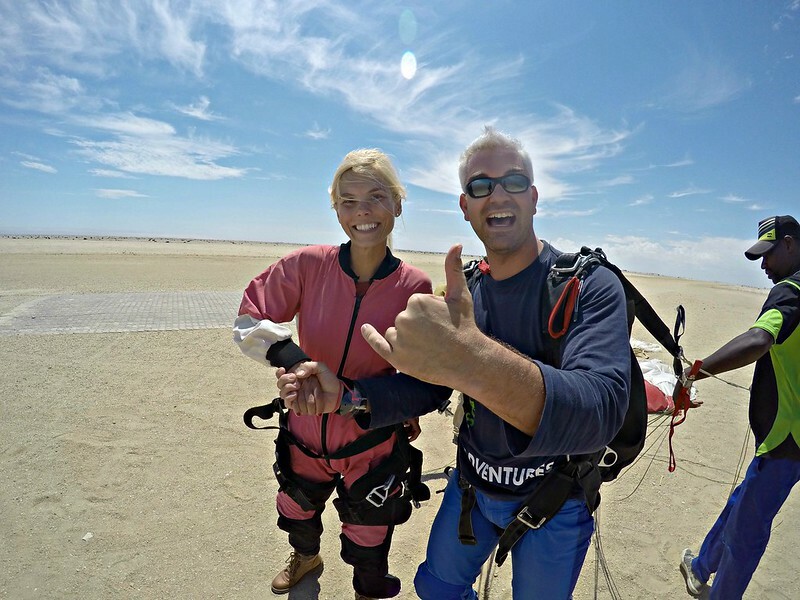 Our group chose to skydive with the company, Ground Rush Adventures. 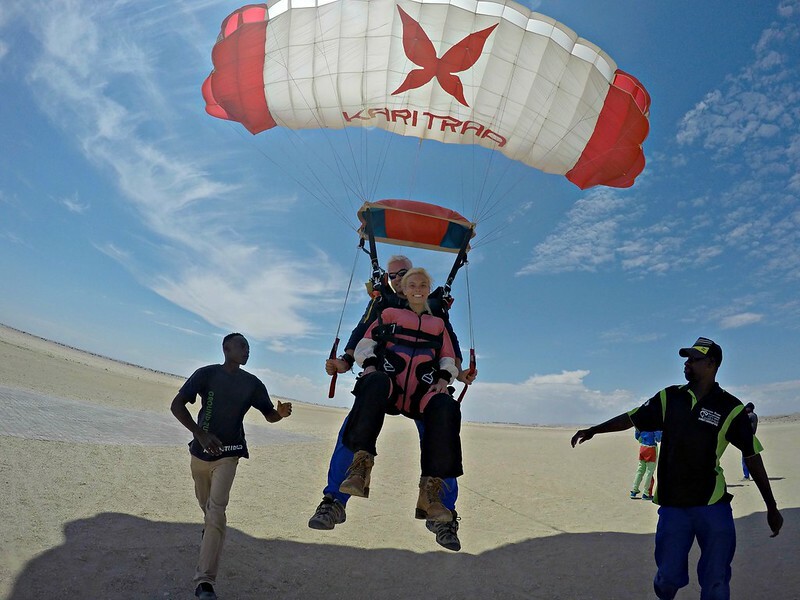 From our hostel in Swakopmund, the company transported us to their tropical skydive hut in the middle of the Namib Desert. 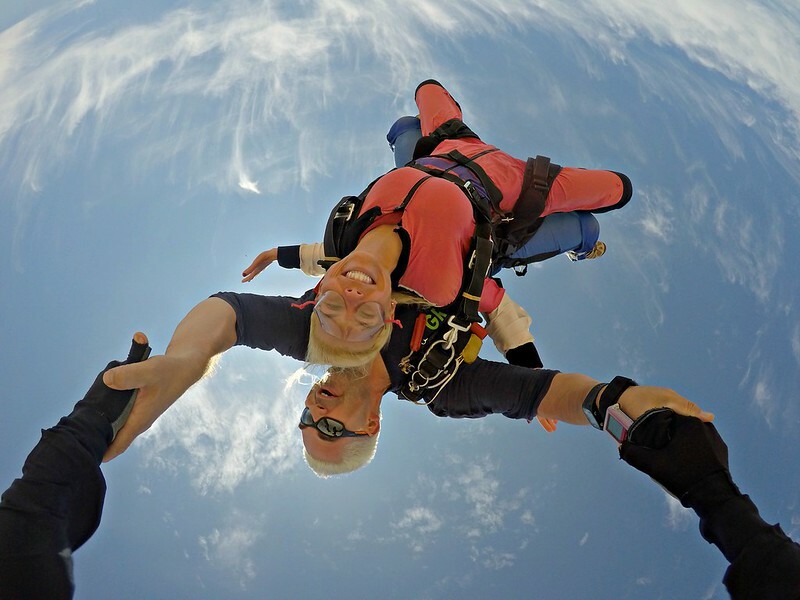 My group had eight people, so we were split into four groups, since there were only two jumpers allowed in the plane at one time. 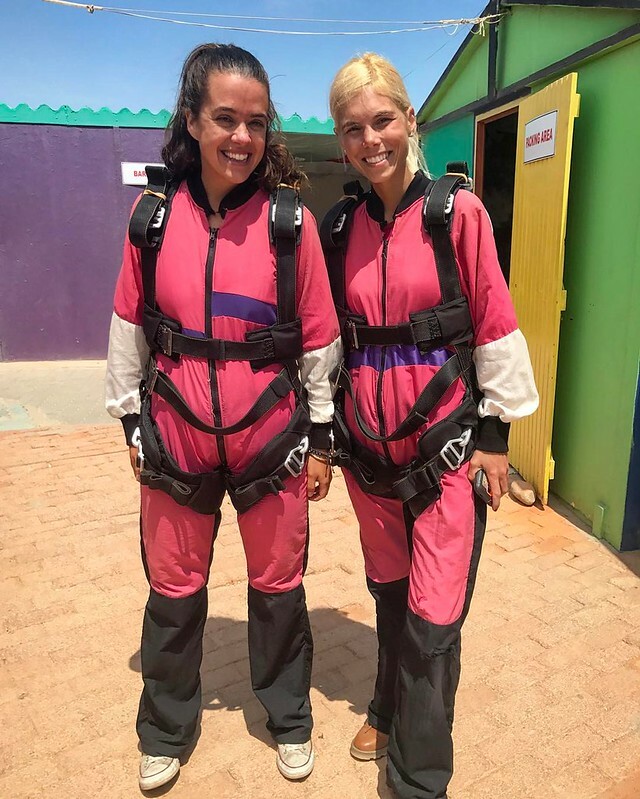 Each jumper went with both their instructor and a camera man, who would be filming the entire jump from start to finish. 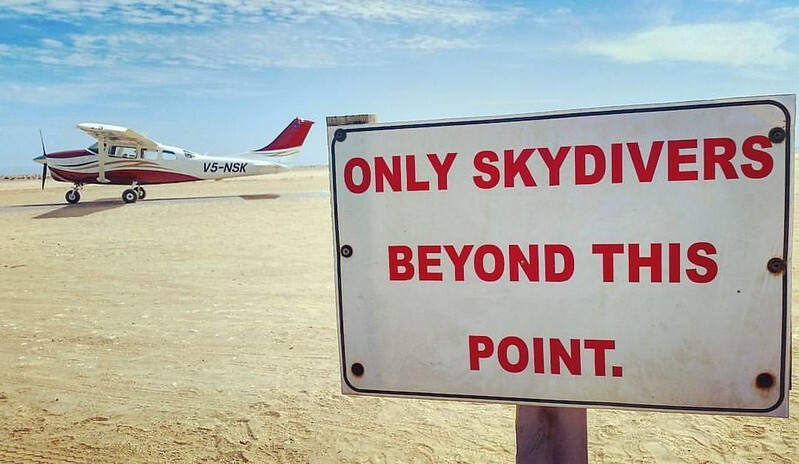 Before we jumped, the crew went over some basic rules with everyone. The most important instruction was how to position our body for the jump and landing. 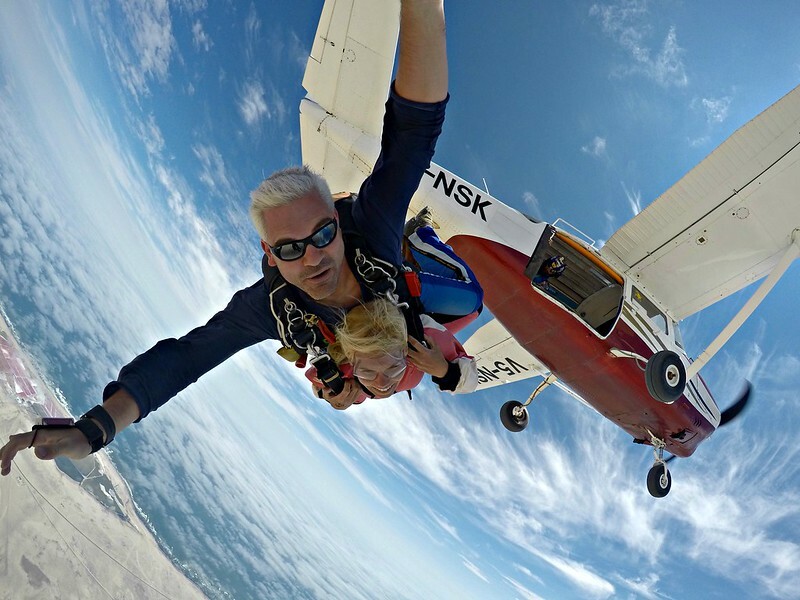 For the jump you rest your hands on your shoulders, lean your head back, and arch your body, like a backwards banana, hooked onto the underbelly of the plane. In contrast, for the landing, your knees are up, just like you’re sitting in an imaginary chair. 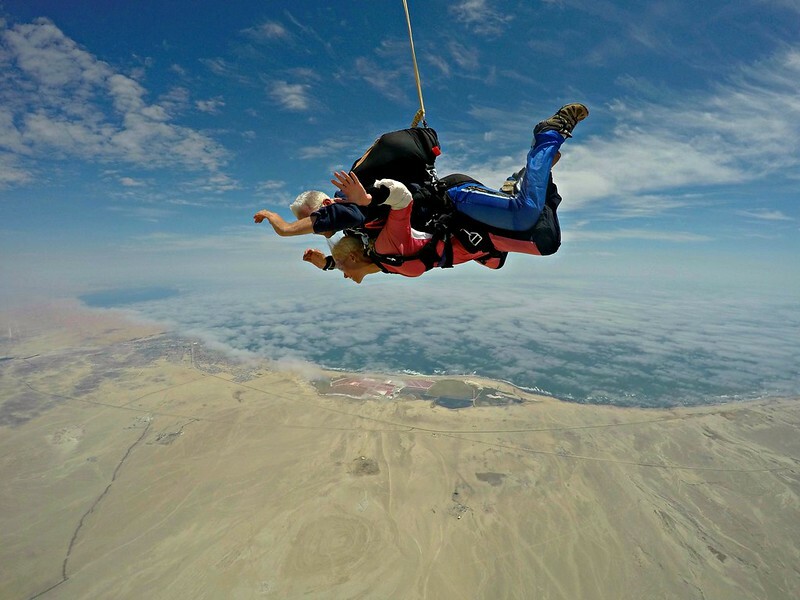 Definitely a bucket list activity to be done! 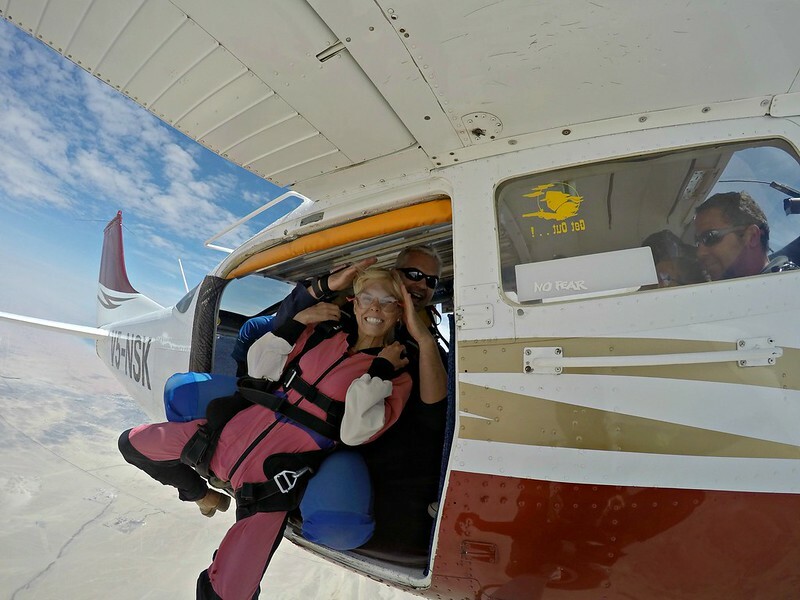 We just saw a video of some folks doing the tandem in Perth over Rottnest island. All these are making our saliva drip. slurp! Wow! That must have been wonderful! 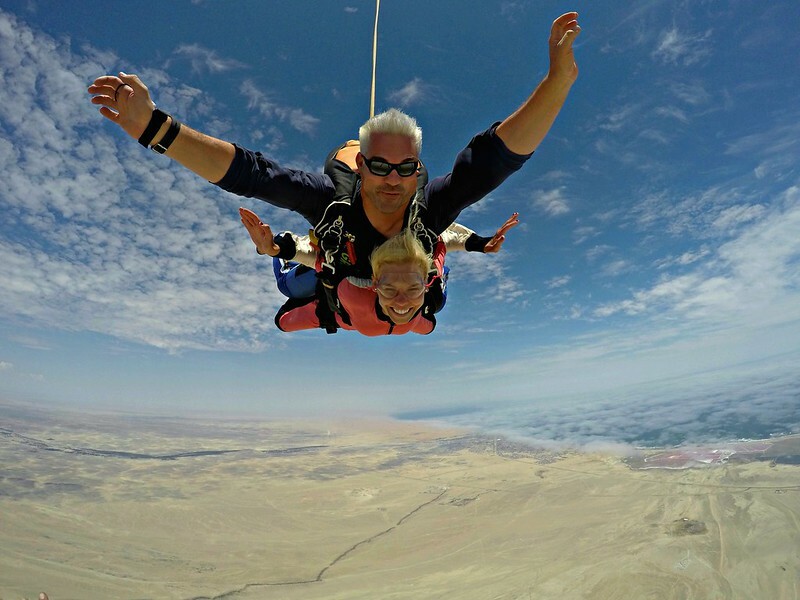 Megan: Thanks for taking me skydiving with you…..It was awesome!!!! !